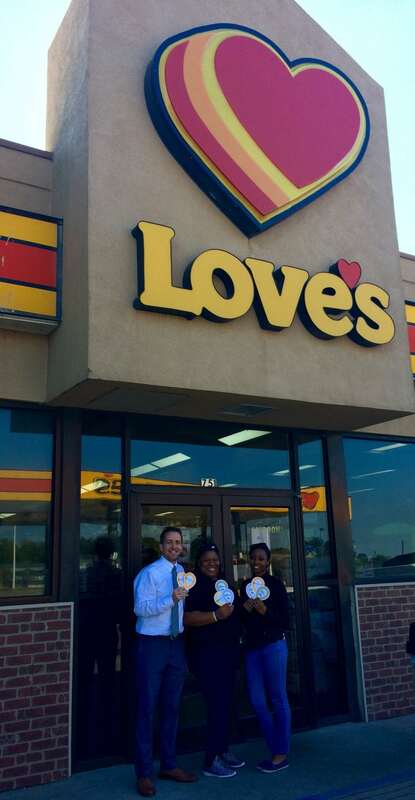 We are grateful for our partners at Love’s Travel Stops! Follow along as we spotlight some of our Children’s Miracle Network partners that we are thankful, grateful, and blessed to work with! Love’s Travel Stops is a family owned and operated company headquartered in Oklahoma City, Oklahoma and is one of the largest Travel Stops and Country Stores across 40 states. Love’s has been a dedicated and committed partner with Children’s Miracle Network Hospitals since 1999 raising over $21 million for the kids. Annually, Love’s holds a 5 week fundraising campaign in stores selling $1, $5, and $20 paper balloon icons. Our local Love’s Travel Stops is located in Port Allen right off of Interstate-10. This year, Love’s raised over $5,000 for Our Lady of the Lake Children’s Hospital, a 13% increase over last year’s fundraising! Love’s Travel Stops also partnered with Dance Marathon at LSU last year to help cover production costs of their Big Event! We are thankful, grateful, and blessed to partner with Love’s Travel Stops! Previous post: Meet Clarke, Miracle Child!